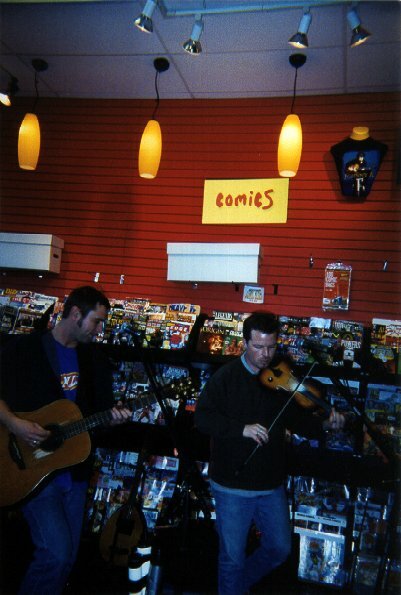 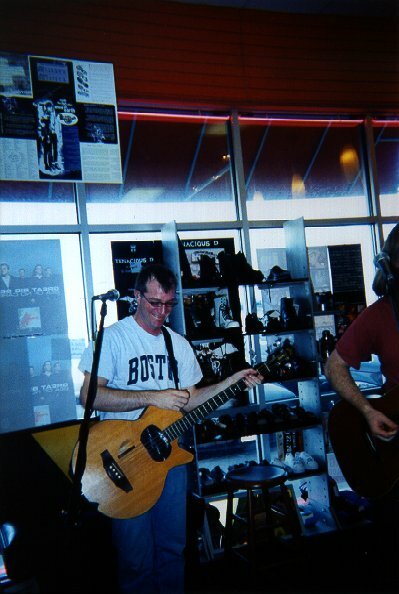 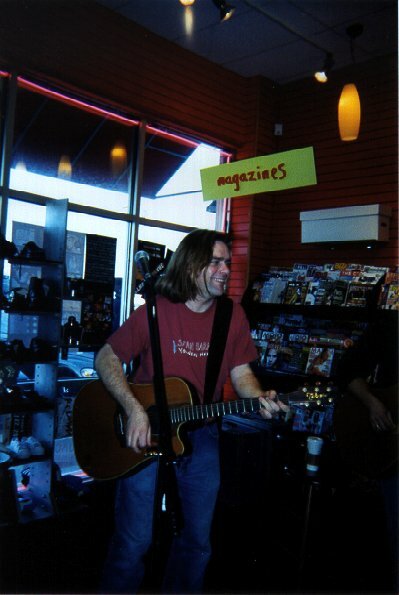 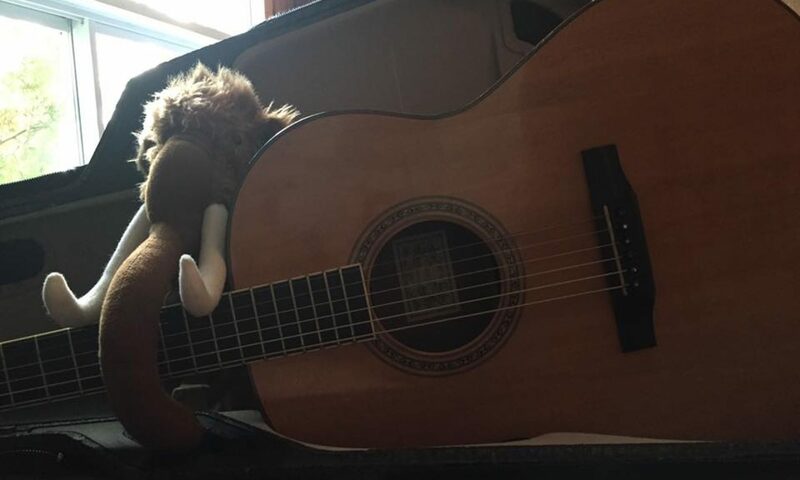 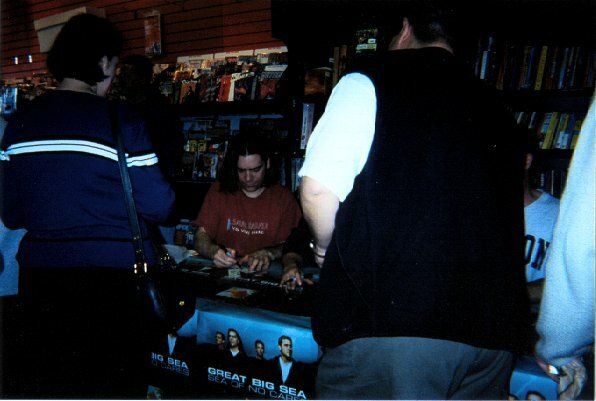 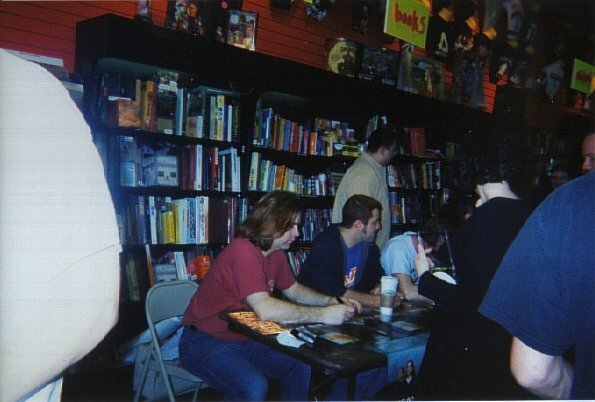 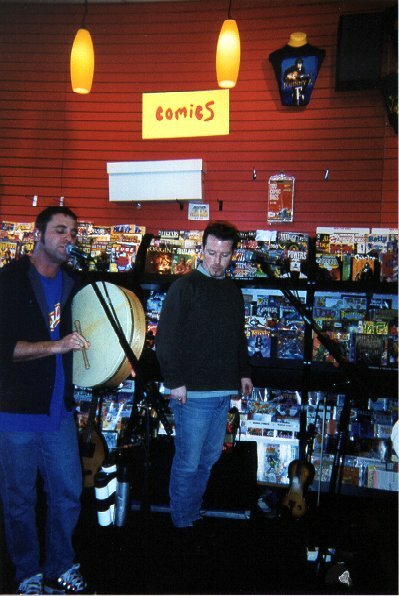 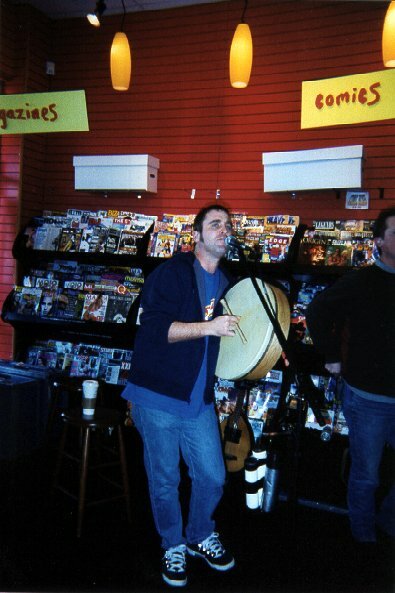 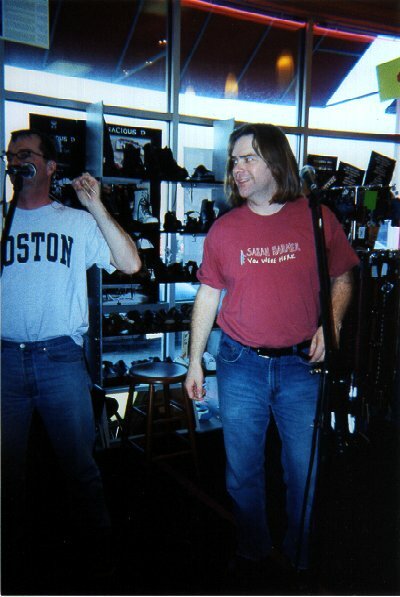 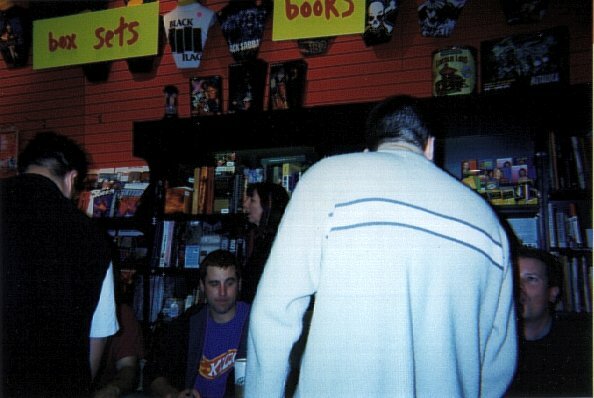 These pictures are all from a mini-concert and signing that Great Big Sea did at a Newbury Comics in Peabody, Massachusetts, in the Spring of 2002. 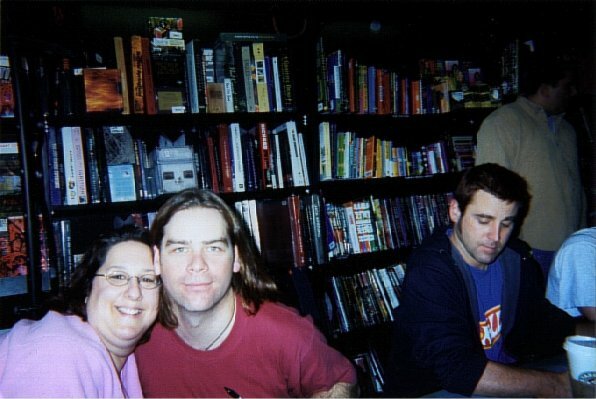 My friend Mary Paruch attended, and much to my delight actually got me a signed copy of Sea of No Cares along with her own signatures! 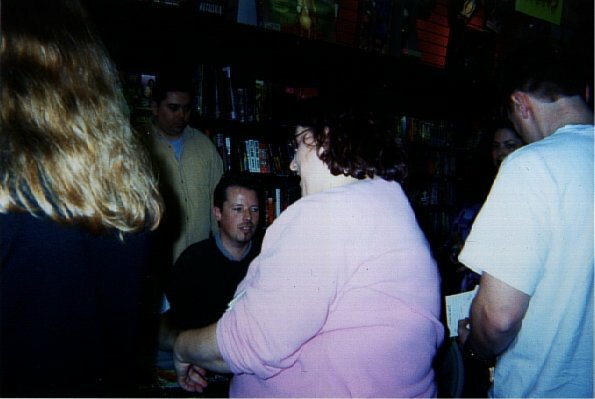 That’s the fantabulous Mary with the lovely Mr. Doyle in picture #1; all of these pictures are copyright 2002 to her, and posted her by her permission. 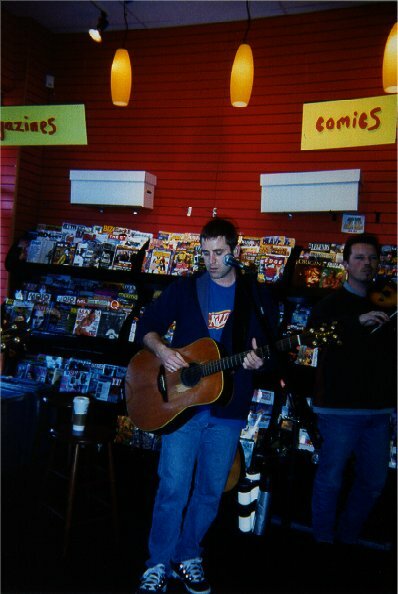 Click on any of the thumbnails to see the larger pictures.